It was a pretty good weekend for fishing. Plenty of Mackerel, Plaice, Gurnard and Bream were caught. Not as many Smoothound as I would have liked, but there was some fantastic Rays from both ends of the beach. I know of one Undulate that weighed 15lb for a lucky local angler. Sorry but I have been sworn to secrecy on the location of the mark. I noticed that quite a few of you have been posting catch reports from all along the beach in the comments section. We will be opening a new section up soon that will allow you to post your own catch reports. Had a short evening session last week at Abbotsbury for some mackerel did not realise until I got home and was sorting out my kit that my Shimano 4000 [only used once] and a set of savage gear grippers were missing, they were in my rucksack but I know I had left it flipped back and they were on the top in the bag as I always take two reels. This guy who appeared to be very chatty was wandering up & down the beach several times chatting to all as the beach was busy including myself, I guess I was casting out and talking at the same time, my bag was only 10ft behind me where he was standing so warning to all it was too easy to dip my bag when I had my back turned. Learned the hard way and £250 lighter!! I find it hard to believe that there are such ow life scum out there. It makes me mad. Tip for the Day: If you are targeting Plaice, Bream or Gurnard during the day, then it is worth looking at some of the techniques the Mediterranean anglers use. When I lived in Spain, I had to change the way I fished to allow me catch fish in the crystal clear waters. Using Flurocarbon rigs and snoods were essential, as were clear beads. Flurocarbon line is supposed to be almost invisible in the water. Although it is stiffer than regular mono, if you scale down the breaking strain of the hook lengths this will help with presentation. I now use a much longer and slimmer rod, that allows me to cast long distances using only 2 or 3oz of lead. This allows me to scale all the rest of my tackle down. In the calm conditions we have at the moment, you can easily get away with using 10lb mainline and hook lengths of as little as 5lb. Just make sure that your rig body and shock leader are able to withstand the casting force for the lead you are using. Stick with the rule of using 10lb for every ounce. With my 2oz set up I can get away with a 20lb shock leader and main rig body. Try it and you will be surprised how much your catch rate improves. I will take a trip to the tackle shop today to buy some of the components that I used to use when I was in Spain. I will take some photographs and write a post on how to make some traces for clear conditions. One point to note is it is worth buying decent quality line, otherwise you may end up with the rigs tangling, especially when using the lower breaking strains. 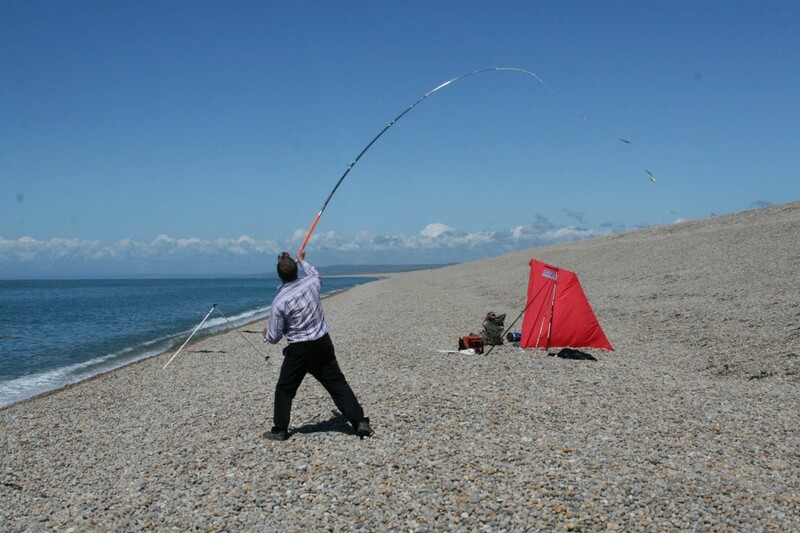 Chesil Beach forecast: With the tides starting to build towards the springs, fishing should really step up for the next couple of days. These are my favourite sized tides for fishing Chesil. Expect plenty of Mackerel, Gurnard and a few Bream. It wold be nice to think that the large Rays would hang around for a bit. If you want some smaller flat fish then give Abbotsbury or Cogden a go for Plaice and Dabs. THe smoothound fishing should pick up a bit. Stronger SW winds are forecast for Tuesday, could well make the beach an interesting place to be to target Bass if the wind gets up enough. 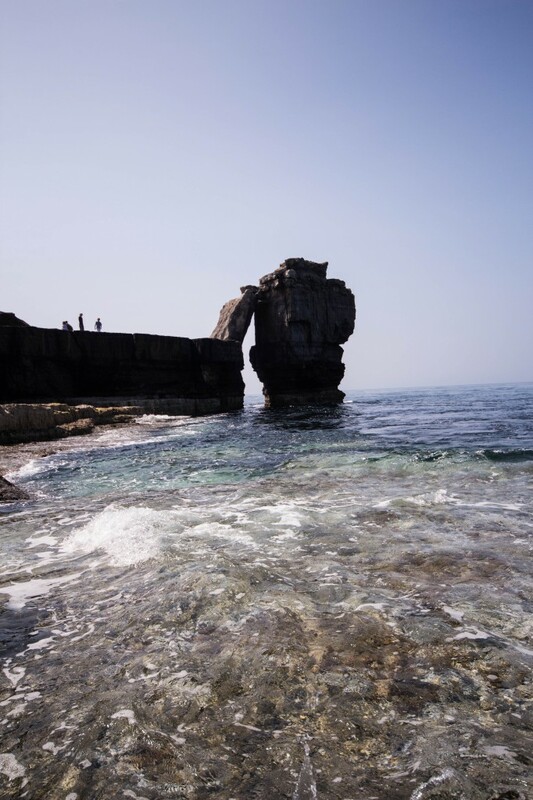 Portland: Now the rock ledges are clear of swimmers it is well worth giving Portland Bill a go for some nice Wrasse and Pollock. Night fishing can produce some very big Conger Eels, if you like that sort of thing. I love targeting the Wrasse, Pollock and Bass on lures around the Island.